Quote for the day... so much to think about when reading this quote. Love it, love it! So what things do we dream about doing? What do we want to do? 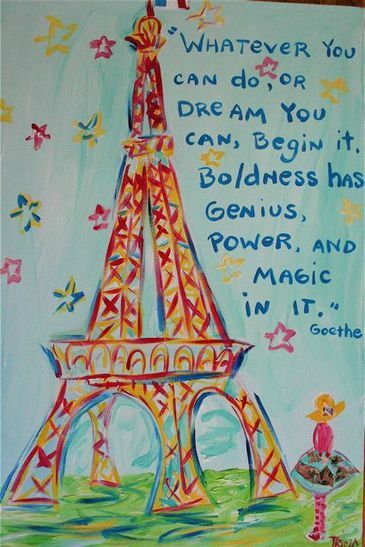 Boldness really does have genius, power and magic to it. Everybody thought Alexander Eiffel built a very ugly structure and there was a petition to tear it down, yet he was bold... very bold and he stood by his creation. And now that structure is one of the symbols for one of the most beautiful cities in the world. So what are our "little eiffel towers" today or for this year? Hmmm.. will have to think on that one and get back with you.